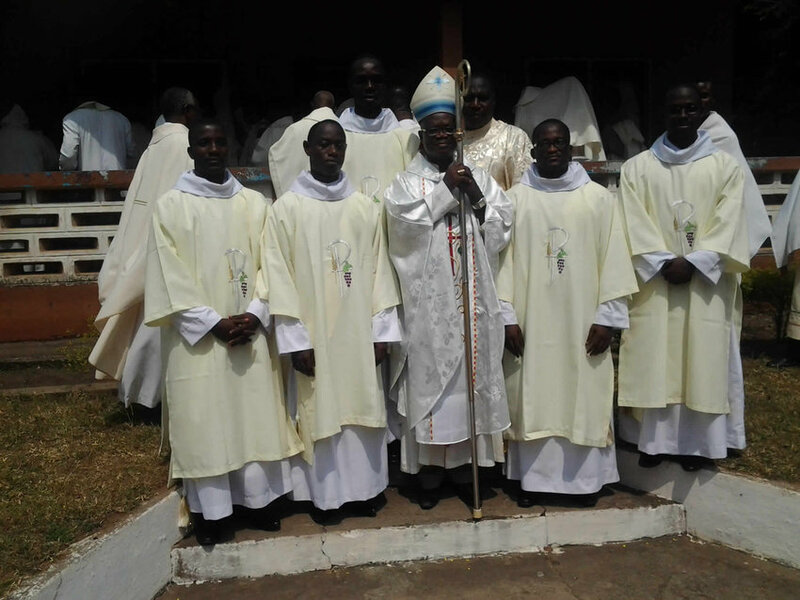 To the congregation, the Archbishop urge them to remember the deacons always in their prayers so that their ultimate goal of joining the holy priesthood would be realised. He also exhorted the people to encourage their sons and daughters to embrace the priestly and religious life so that the Church’s work of evangelisation could be carried out as Jesus asks of us . 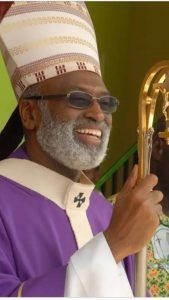 The Archbishop ended his homily by paying tribute to the early missionaries who brought the faith to the shores of Ghana and particularly to the Archdiocese of Cape Coast and spread it to other parts of the country. Rev. Fr. Robert Edwin Hagan, the Pastoral Director of the Archdiocese thanked the parish priests and the entire members of the church for accepting to host the celebration. He used the occasion to congratulate the church on the conclusion of their 125th Anniversary celebration. The five deacons are: Rev. Stephen Afful, Benjamin Agyeman-Duah, Nicholas Amoakwa, Ebenezer Coleman and Emmanuel Akwasi Fynn.